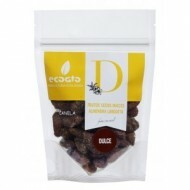 Buy Organic Almond "Comuna", with skin, fried with salt extra virgin olive oil. Be sure to try our almonds, with and without skin, fried and toasted almonds, almonds or almonds seasoned salt. We have a variety in which one almond and exquisite. Buy quality gourmet products extreme. All in almonds and very select products. 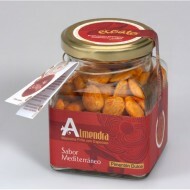 Buy Organic Almond "Marcona" blanched with paprika, low salt, fried with virgin olive oil and seasoned with paprika, an exquisite result worthy of the most demanding tastes. This almond paprika comes in a glass jar. 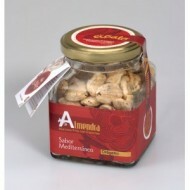 Buy Almond "Marcona" with Oregano blanched, low salt, fried with virgin olive oil and seasoned with oregano, an exquisite result worthy of the most demanding tastes. 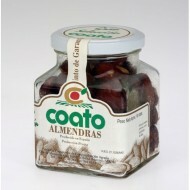 This seasoned organic almond comes in a glass jar. 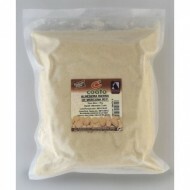 Buy Organic Almond Marcona with Romero. This Almond romero Flavor has been gilded with Extra Virgin Olive oil, treated with little salt and seasoned with Romero from our mountains, an exquisite result worthy of the most discerning palates. Buy Organic Almond with honey, almond largueta with skin. This almondl has been golden in Extra Virgin Olive Oil, and in turn plated organic honey of flavor sweet and fine, an exquisite result worthy of the most discerning palates. Buy Organic Almond with honey and cinnamon. Largueta Almond flavored with cinnamon and honey. This organic almond production has been golden in oil Extra Virgin Olive, and in turn bathed in honey with a touch of pure cinnamon, giving it a sweet and fine flavor, an exquisite result worthy of the most discerning palates. 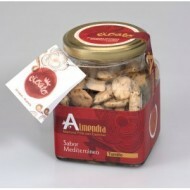 Spanish gourmet products. 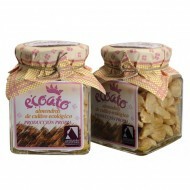 Buy Organic Almond "Marcona" fried with salt extra virgin olive oil. 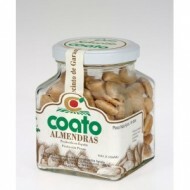 Be sure to try our almonds, with and without skin, fried and toasted almonds, almonds seasoned or almonds salt. 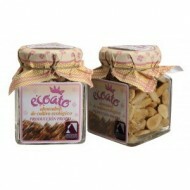 We have a variety in which one almond and exquisite. 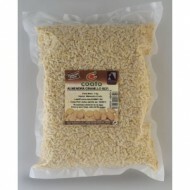 Buy quality gourmet products extreme. All in almonds and very select products.